Home / Photo gear / 6 Months of Travel: What’s in the Camera Bag? 6 Months of Travel: What’s in the Camera Bag? Believe me, choosing what to take and what to leave behind is not an easy task! If Katja and I turn all of our plans into reality the equipment will be subjected to a real beating and extreme environmental conditions. Here is what we’ve planned for the first four months: climb the highest peak in the Alps, go on a safari in the Serengeti, get to know the everyday life of a Masai village, chill on the beaches in Zanzibar, swing on hanging bridges in the Borneo jungle, visit floating villages in the Philippines, dance with the locals at a Sing-Sing in Papua New Guinea, climb up the rim of a volcano on Java, survive the heat and rain in Bangladesh. So the equipment will be exposed to snow, freezing temperatures, dust, heat, sand, salty water, heat, high humidity and rain as well as lots of rattling, dropping, shaking and lens changing. And it’s got to be light, versatile and very robust. So what are we taking? two 16 GB memory cards, three batteries, a battery charger and a lens pen. 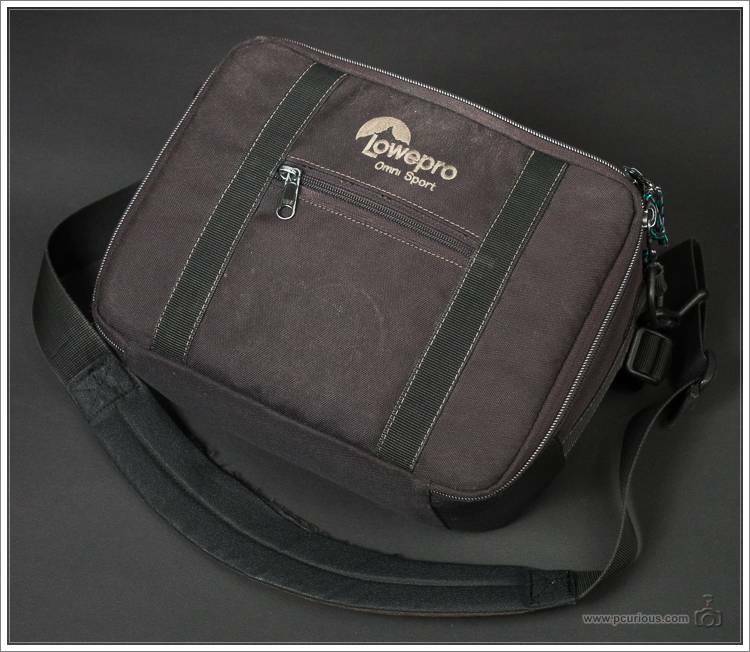 Packed in a LowePro OmniSport bag the entire equipment weighs 2 kg, so it will be very easy to carry around. An iPad Mini will also fit in the bag, adding 350 more grams. a 400x ND filter, two 32 GB memory cards, four batteries, a battery charger and a lens pen. 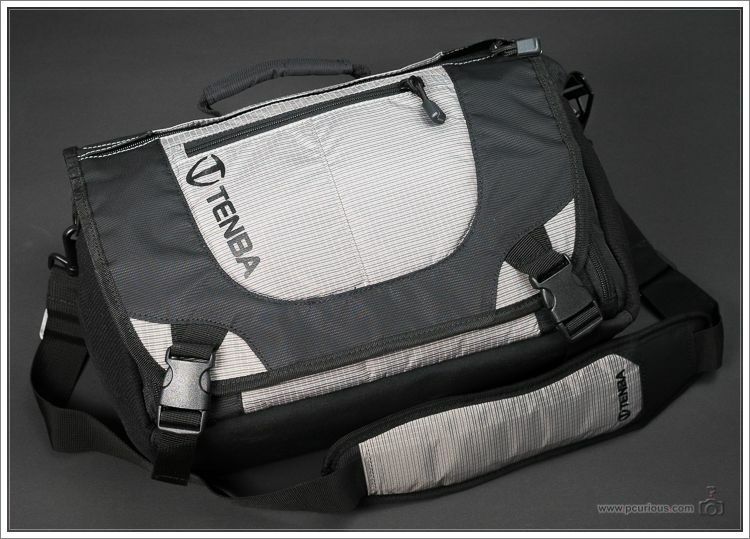 All of the above plus a backup hard-drive can be easily carried around all day long in a Tenba Discovery Messenger Mini bag with a total weight of just 3,6 kg. The bag will even accommodate a 13″ laptop, but due to its additional 1,5 – 2 kg, I will much prefer to hide the laptop away during the day. 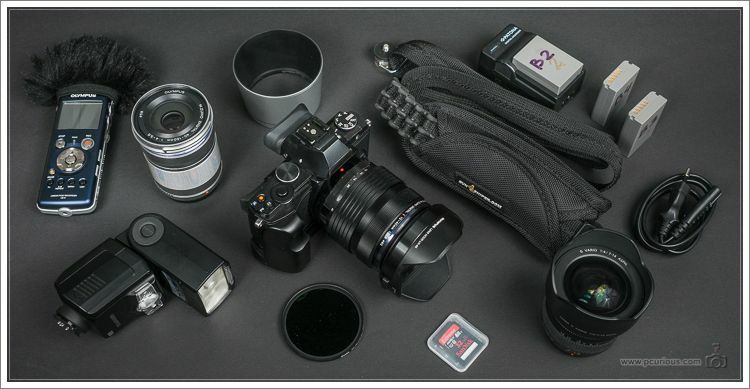 Yes, it’s a lot of stuff, but we are quite serious about our photography, and with the above items we should be able to handle virtually any photographic situation. 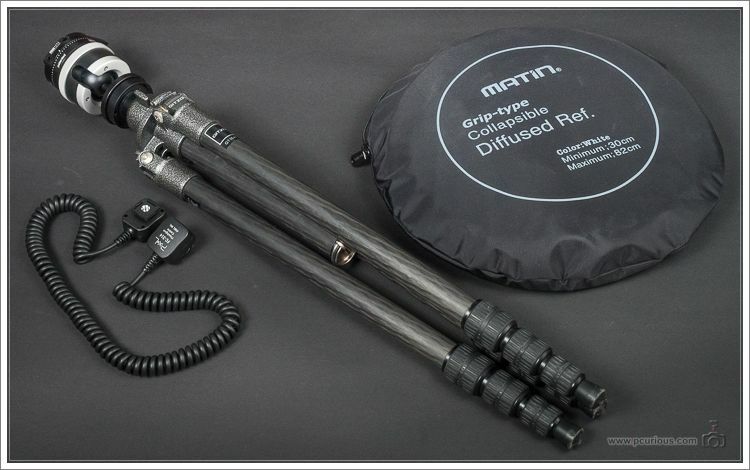 I thought long and hard about the tripod, but in the end decided to take it because nothing else equals its flexibility. On my previous trips I’ve tried gorilla pods, beanbags and other improvised supports, but these are all compromises. Now we’ll easily be able to photograph the night sky and create star-trails, two favorites of ours. The ND filter kills more than 8 stops of light, so using the tripod we can photograph water and clouds at very slow speeds during the day. The flash, mounted directly on the camera and set to -1.5 EV, should solve most problems with harsh shadows in the middle of the day. Holding the reflector between the sun and the subject achieves a similar effect. As does holding the reflector on the side opposite the sun. Using the TTL cord we can take the flash off-camera and add directional light to any image that needs it. Adding the diffusor in front of the flash produces a soft-box effect. Finally, holding the reflector opposite the off-camera flash acts as a second, lower-powered flash. And that’s it — 7 kg of photographic equipment (for two people) with high reliability, plenty of redundancy and able to cover virtually any photographic situation. Add 2.5 kg for a laptop and two back-up drives, which will hopefully provide enough image- and data-safety, and we are ready to explore the world! What do you think of our gear selection? Did we forget anything, or can we leave something behind without missing it later? 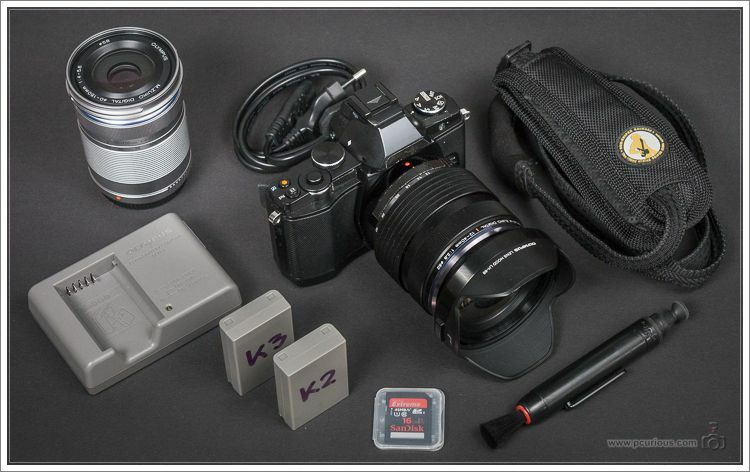 That’s a great kit for traveling. And the travel destinations are excellent as well. Thank you Jere for your comment. We will surely be posting here about how the kit is holding up and also images from the trip, so I hope you’d stop by occasionally and see how we are progressing. 1) Swap out the Oly 40-150 for a Panasonic 35-100 (for better weather resistance). 2) Replace the laptop and spare hard drive with an iPad mini and some SD card backup gizmo (e.g., the RAVPower FileHub) to save weight and size. But what you’ve listed should do the job nicely. Have fun! Thanks a lot for your suggestions! I thought a lot about the Panasonic 35-100, but in the end decided against it for two reasons: (1) both Katja and I use longer focal lengths only occasionally, and (2) we will be visiting some shall I say problematic places, so I don’t want to carry anything of value, which is not absolutely necessary. I would take the ipad mini and a macbook definately. For proper editing there is still ways to go to manage on a tablet. I do know, having tried that route with both a Android tab and a full size iPad. For presenting stuff, and consuming it is much better than a laptop, but for creating.. not so much..